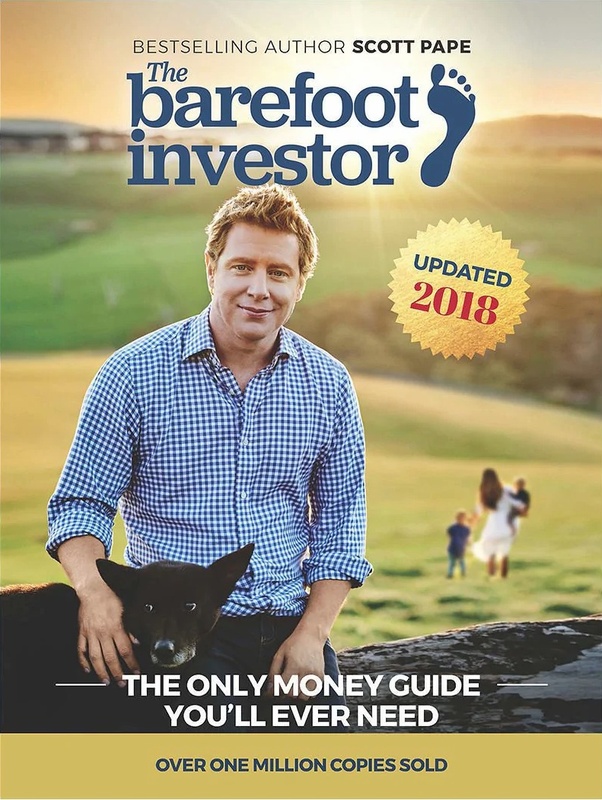 A down to earth farmer-turned-financial-advisor, Scott Pape holds the record for Australia’s best selling non-fiction author in the last 20 years. That means if you haven’t read his book, The Barefoot Investor, there’s a good chance one of your friends has. In this article, I want to raise one massive concern I have with the book, and then highlight the one important ‘Barefoot lesson’ Jesus wants us to learn. Savings equals Freedom. When you’ve got money in the bank, you’re free to live life on your own terms. You have the power. You call the shots. (p 185). Statements like these are littered throughout the book, and without trying to be alarmist, they should raise big concerns for Christian readers. Because ultimately, The Barefoot Investor is first and foremost a book about morals, not money. Statements like these are littered throughout the book. The Barefoot Investor is first and foremost a book about morals, not money. By its own admission, The Barefoot Investor is unashamedly about what’s really important in life, what’s really valuable, and ultimately; how to be happy. Again and again, the book puts forward a picture of life that seems to uphold “good traditional values”. For example; it’s not about being rich—just comfortable, it’s not driven by greed—just a desire to live stress free. It doesn’t sell a perfect life—just one where you look after your family, you take responsibility, and you get a sense of security in life. All so in a few years you can be in control, comfortable and happy. That’s what the Barefoot gospel offers everyone. With a sense of down-to-earth ease and poetry, it paints such an attractive picture of middle-class heaven, you can almost feel the serenity. So we should ask ourselves the question; Are the Barefoot values detestable in God’s sight? The Mojo account is just one example; again and again in the book, The Barefoot Investor subtly ties money management “tips” to lessons about what should be really important in our lives. Everything from the setting up a “splurge” card, to planning to retire in “absolute comfort”, and putting in hours of “hard yakka” to double your income… these all flow out of a worldview—a moral system—that should be setting off alarm bells for Christians. Yet my fear is that too many have swallowed it whole without much thought, discernment or repentance. We’ve fallen into the Barefoot trap of valuing earthly things in a way that our Father despises. And if this is true, we should seek forgiveness for from God, knowing that he gave his Son to be despised in our place—so we can be valued highly. However there’s one aspect of the Barefoot worldview that Jesus would strongly agree with; it’s this… be more shrewd with your money. And in that sense, Scott Pape is the modern day shrewd manager. He describes what it looks like when someone uses God’s money—not to get rich—but really uses money according to their own worldly values; according to what they believe is important in life. And I have to agree with Jesus here… Scott Pape is better at using money for what he believes in than many Christian are. What does Jesus say we should use our worldly wealth for? Eternal friends. Heavenly buddies. Seeing more and more people saved—so that when you enter God’s inheritance by grace, there are thousands of brothers and sisters there to warmly welcome you. It’s such a different worldview from The Barefoot ideal of being able to live out the last years of your life in comfort. Listen—if this life is all there is; by all means, go out and get a copy of the book and follow it into the grave. But if you’re a Christian—if you are convinced that there’s an eternity waiting on the other side of death; that Jesus is the only hope people have to be rescued from hell and be brought into the loving arms of their creator—then make every dollar work for what you believe in. Your beliefs should make your budgeting very different from that of the Barefoot Investor. If this life is all there is; by all means, go out and get a copy of the book and follow it into the grave. But if you’re a Christian, your beliefs should make your budgeting very different from that of the Barefoot Investor. The sons of this world are more shrewd in dealing with their own generation than the sons of light. While the world around us is vigorously working out how to leverage their bank accounts according to what they believe really matters, Jesus calls on us—his people of the light—to imitate their vigour and shrewdness, but instead to focus our lives and wealth to what we know really matters. I am glad that many Christians have read the Barefoot Investor and have made the decision to be intentional and purposeful with their money. There are some great money management tips in this book—my wife and I have got the labelled debit cards and everything. But Christians need to be more discerning. My deep fear is that too many Christians have taken on the worldview of The Barefoot Investor that’s despised by God, rather than being inspired to be financially shrewd and uncomfortable for the sake of Jesus’ glory. So if you’ve read the book, here’s the big question you need to constantly ask yourself… What does Jesus say is important? And am I shrewdly investing as much as I can into that… or something else? The word “worldly” is the same word used of the “dishonest” manager in verse 8. The ideas are combined in v11 where Jesus contrasts “unrighteous wealth” with “true riches”. Therefore I think we’re we’re meant to understand it to mean “worldly wealth”, or “wealth in this sinful and passing world”.